Très bel hostel personnel accueillant ils nous ont aider à faire notre itinéraire et trouver des endroits inédits! I have nothing to say! That is my favorite hostel from Vietnam! Staff are amazing! They help you a lot for your trip! Happy hours is so cheap! The bed are the most comfy bed I tried, wish to come back with the bed at home! I really enjoy my stay there, about 5 days! It is a really good location in the oldquarter! Shorthair coffe, just in the front of the hostel, have the best smootie ever ( you should try coconut coffe 😍) ! Just Enjoy! Nexy hostel is cool! I had an amazing time. Super friendly staff. 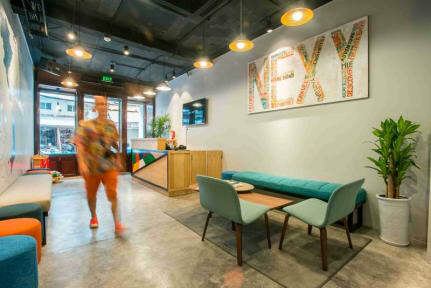 Hanoi was very chaotic and it was great to return back to the relaxing vibe at Nexy. Very clean and spacious dorms. Perfect atmosphere to enjoy the city and meet new people. Thanks guys !! Awesome hostel !!!! I have absolutely nothing bad to say about this place. 100% recommend. More than amazing hostel! The room is clean, pretty, with good AC. (The only minor detail was that it was difficult to have cold water in the shower, but totally outweighed by all the positive points!) In the middle of the old quarter, few minutes away from the lake, close to everything! 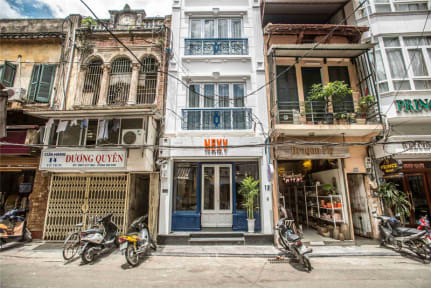 We were at Nexy Hostel in our first stop in Vietnam and the staff was extremely helpful in organizing the rest of our trip, we came back and forth to Nexy for other few days trips and felt as we were home! Hostel conseillée par une amie. Très bien situé et à une 40taine de minutes de l'aéroport. Le petit déjeuner est correct pour le prix et on conserve son intimité au sein des dortoirs. La TV room est très sympa pour chill ou en cas d'arrivée avant le check in (prévu à 15h). Les prix des excursions sont tout de même plus cher dans l'hostel qu'à l'extérieur. Bonne ambiance, l'auberge est très bien placée !